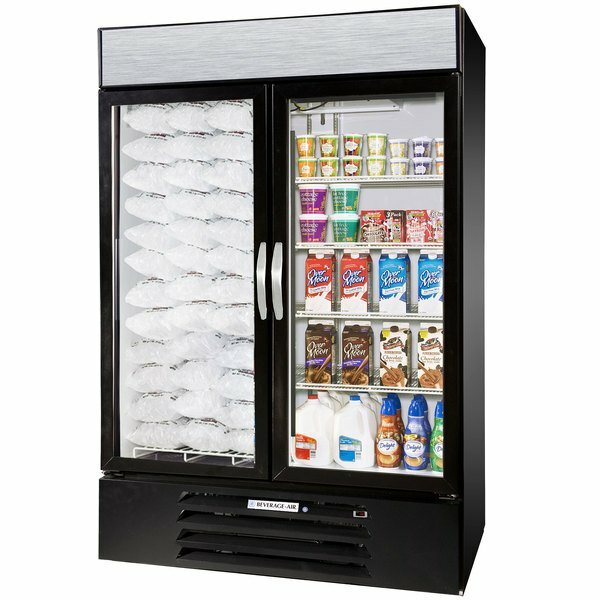 Configuration A Beverage-Air Market Max MMRF49-1-BW-LED Black 2 Section Glass Door Dual Temperature Merchandiser - 49 Cu. Ft. 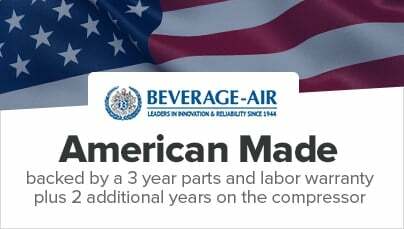 Double your merchandising possibilities with this Beverage-Air MMRF49-1-BW-LED black 2 section glass door dual temperature merchandiser! With 49 cubic feet of storage, a lighted sign panel, and digital temperature monitoring, this merchandiser allows you to easily monitor quality and increase impulse sales of all your chilled and frozen goods!